"We adopted the approach that is outlined in this guidebook, and built an inventory of quality information about historical uses of Tsleil-Waututh territory." Despite the tremendous diversity among First Nations, they all share one thing  the harvesting of fish, wildlife, and plant materials has been the historical basis of economic life. In pursuit of the resources that continue to be the foundation of their cultures, people leave traces over the landscape, evidence that they have been there. Aboriginal peoples in Canada have been mapping aspects of their cultures for more than a generation. Think of it as the geography of oral tradition, or as the mapping of cultural and resource geography. 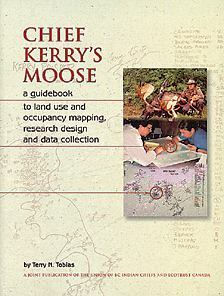 This book is a consideration of the key factors that lead to success in aboriginal mapping. It is written for leaders, administrators, and program personnel at the community or First Nation government level, as well as their consultants and other research people who have had experience with similar kinds of studies.